This fun little workshop was developed as an introduction to our Organic Abstract Workshop but has proven to be a great experience on its own! 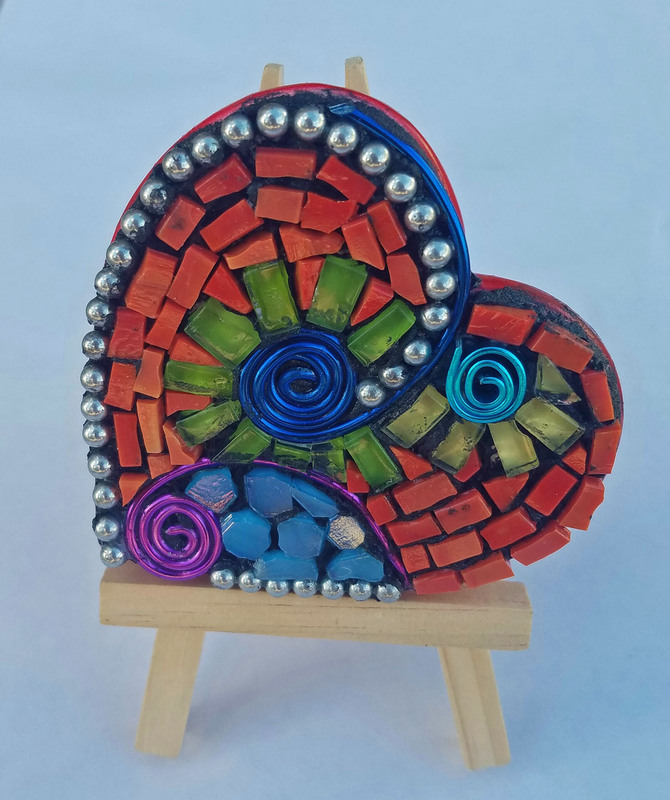 Learn embedded mosaic techniques as well as establishing movement within small spaces. 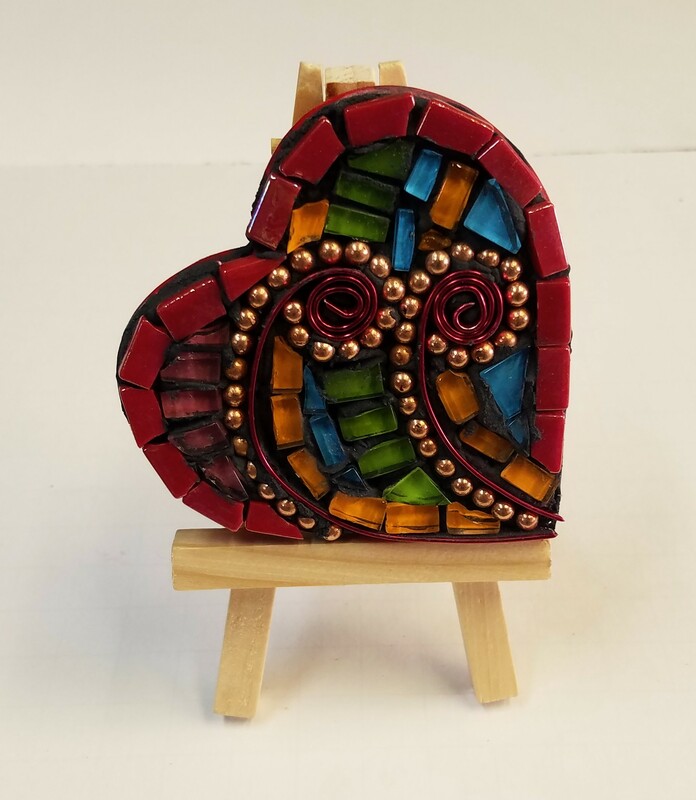 Our little heart measures 2" x 3" and comes complete with an easel for display after curing.